Jamie Lee Curtis proved over the weekend that women over 50 can still be scream queen. "Halloween," the 11th installment in the series, raked in an estimated $77.5 million in ticket sales from North American theaters, breaking several box office records. It was the second-highest horror opening of all time, after last year's "It." "Halloween" did better than any of its predecessors, and it also snagged the second-highest October opening ever behind "Venom," which took in $80.3 million earlier this month. But the film was also a huge win for Curtis, who reprised her role as Laurie Strode, who tries again to escape the clutches of masked killer Michael Myers. "Halloween" was the biggest horror movie opening with a female lead, and the biggest movie opening with a female lead over 55. The moment was not lost on Curtis, who wrote on Twitter that she was going to limit herself to "one BOAST post." Curtis also starred in the Fox TV show "Scream Queens," and her mother, Janet Leigh, was also one of the most revered scream queens of all time, playing Marion Crane in 1960's "Psycho." "Halloween," which is a direct follow-up to the original "Halloween" and skips over the sequels in between, has been well-received by critics, with an 80 percent fresh rating on Rotten Tomatoes. The new horror flick, co-produced by Blumhouse and Miramax, cost only $10 million to make. 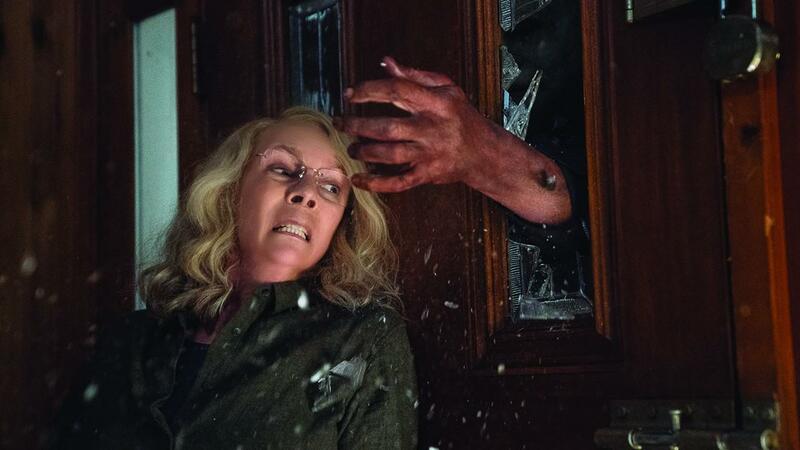 "You take the nostalgia for 'Halloween,' especially with the return of Jamie Lee Curtis, and you combine that with the Blumhouse brand and its contemporary currency in the genre and it just made for a ridiculously potent combination at the box office this weekend," Jim Orr, Universal's president of domestic distribution, told The Associated Press.